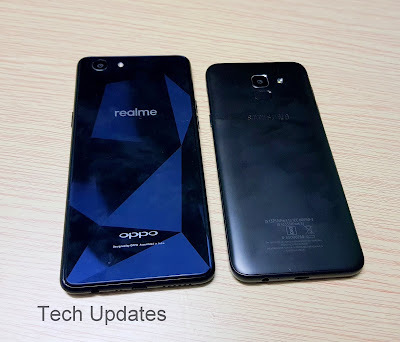 Both phones come with the Plastic body, Realme 1 has Diamond finish and looks like Glass. Realme 1 has 6-inch (2160 x 1080 pixels) Full HD+ IPS display whereas Galaxy J6 has 5.6-inch (1480 x 720 pixels) HD+ Super AMOLED 18.5: 9 Infinity Display Samsung should have provided FHD+ Display. Realme 1 is powered by Octa Core MediaTek Helio P60 (MT6771) 12nm processor compared to 2-year-old Octa-Core Exynos 7870 14nm processor both phones come with 3/4GB RAM and 32/64GB Storage, Realme 1 has 6GB RAM model with 128GB Storage both phones has support for MicroSD card. On Camera Realme 1 has a 13MP rear camera with LED flash, a f/2.2 aperture, and 8MP front-facing camera. Galaxy J6 has a 13MP rear camera with LED flash, f/1.9 aperture and 8MP front-facing camera with f/1.9 aperture, LED flash. Both phones can record 1080P videos. Both phones run on Android 8.0 Oreo. Realme 1 has 3410mAh Battery which does not support the fast charge, able to deliver 1 day of battery life whereas Galaxy J6 has 3000mAh battery which takes 3 Hour to charge. Samsung Galaxy J6 comes in Black, Gold and Blue colors priced at Rs. 13,990 for the 3GB RAM and 4GB RAMversion costs Rs.16,490.Realme 1 comes in Diamond Black and Solar Red color priced at Rs 8990 for 3GB RAM, Rs 10,990 for 4GB RAM and 13,990 for 6GB RAM. 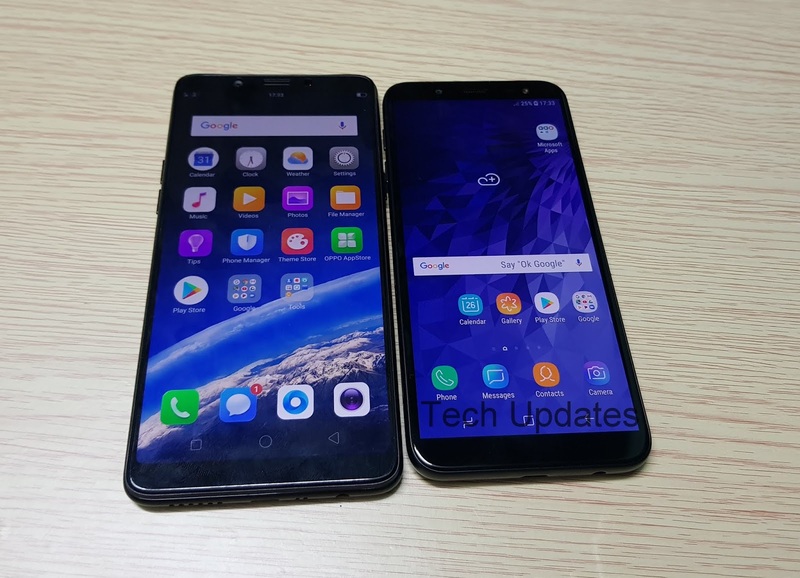 Realme 1 offers better processor, More RAM at less and lacks Fingerprint Scanner.